Melanie is off to France for a long weekend…aahhhh! I miss France so much right now that if I were allowed to fly, I would tag along! 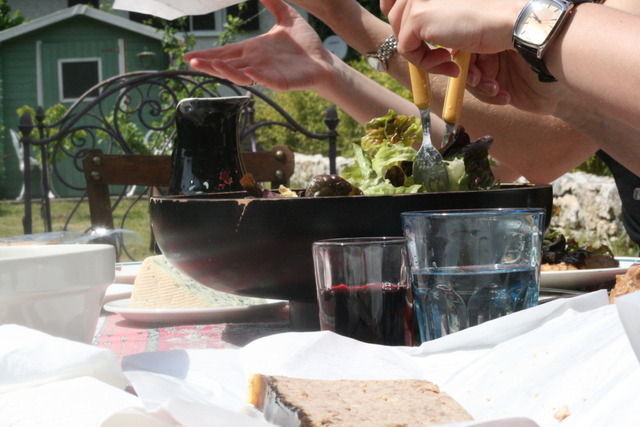 Mel’s trip makes me think of a picnic we had in France when we were there, in the countryside, last May. 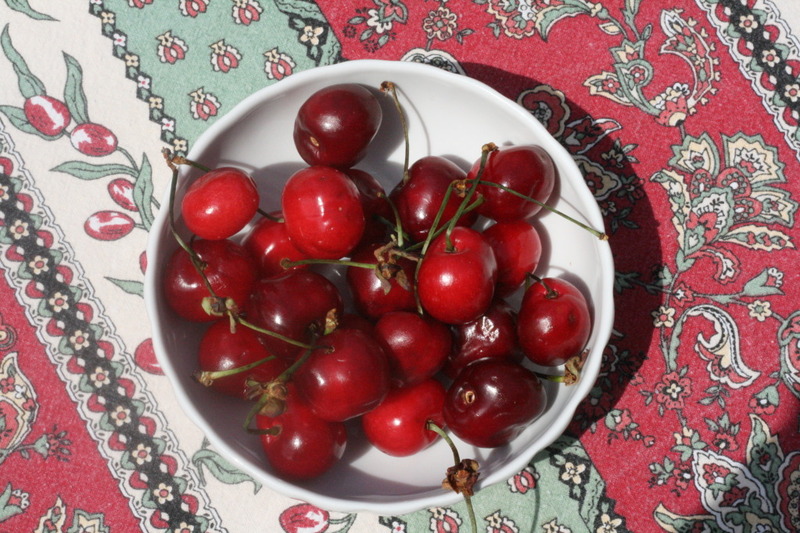 We had a delicious spread of wine, salad, pates, cheese and cherries – that were picked from her grandmother’s tree. It seems when most people think of food in France desserts, baguettes and champagne come to mind. But I think of the lettuce. The leaves are large but they have a soft texture and taste sweet. Boston/Bibb lettuce is the only kind of lettuce I can find in Chicago that reminds me of the lettuce in France. Whenever Mel and I make a meal together, I know that we will have a salad with her famous mustard vinaigrette. The French always eat a salad with their meal because it helps digestion. Before meeting Mel, I had never heard of this but eat the same way now. When I make salad dressing I like to measure it all out, but not Melanie. The salad below is what I make to take me back to that lovely picnic. It has a tangy cheese, a tart fruit, buttery walnuts and the famous pungent mustard vinaigrette!